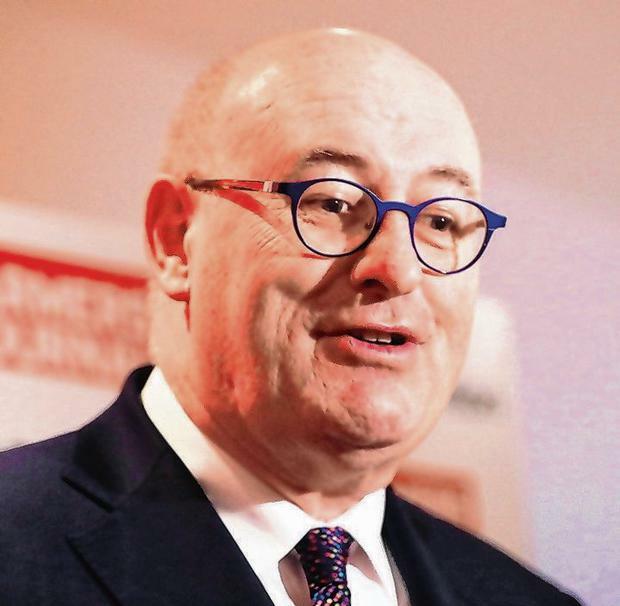 Agriculture Commissioner Phil Hogan has accused the United Kingdom of trying to force the EU to impose a hard border with Northern Ireland. He criticised the UK government’s behaviour in the run-up to Brexit saying it is “not in the spirit of the Good Friday Agreement". He has also said there is no plan in place to police a hard border in the North if the UK crashes out of Europe without a deal or an extended Brexit deadline next week. Mr Hogan said he believes proposed UK tariffs on goods such as beef and cheddar cheese are political brinksmanship. He criticised the UK's handling of the issue. "The UK are trying to force the European Union to impose a hard border and they won’t get away with this political tactic. "Brexit has been the most amateurish project ever. There is no plan, no endgame and no direction from the United Kingdom. There has never been so much energy squandered for so little output and outcome. "The European Union side is running out of patience. They cannot continue like this and in a way I suspect President Tusk is setting out a benchmark, as is the Commission by arguing for May 23. "If you don’t have some timeline or deadline the chaos is going to continue." When asked if the EU was likely to enter a trade war with the EU he admitted Europe would impose it's own tariffs on the UK in the event of a 'no deal Brexit'. "Yes, we will have external tariffs. I am certain. While we have not come to any conclusion on it but we have worked on [tariffs] and we’re ready to have [them]. In the normal way external tariffs will be imposed on third countries that are not part of the EU. "I believe the UK announced the tariff schedule without too much thought in order to change the news cycle last week from the political chaos in the House of Commons and I treat it no more or no less than that. But it does indicate their thinking when they target a small state like Ireland." He added it was difficult to put a plan in place to police the border with Northern Ireland because there is no clear indication of what Brexit outcomes are likely. "There has been discussions between the EU, UK and the Irish authorities about implementing the GFA. How we are going to do that has not been decided because the ‘how’ will depend on what the outcome is going to be."